There are hardly any bulls in sight as bitcoin and its buddies are just hanging out around support areas, still deciding whether to bounce or to break. Take a look! Bitcoin is still cruising around the bottom of the descending channel we were looking at last week. The mid-channel area of interest is doing a mighty fine job of keeping gains in check and creating a smaller channel, too! The 100 SMA is below the longer-term 200 SMA to show that bearish momentum is very much in play, possibly even leading to a break below support. 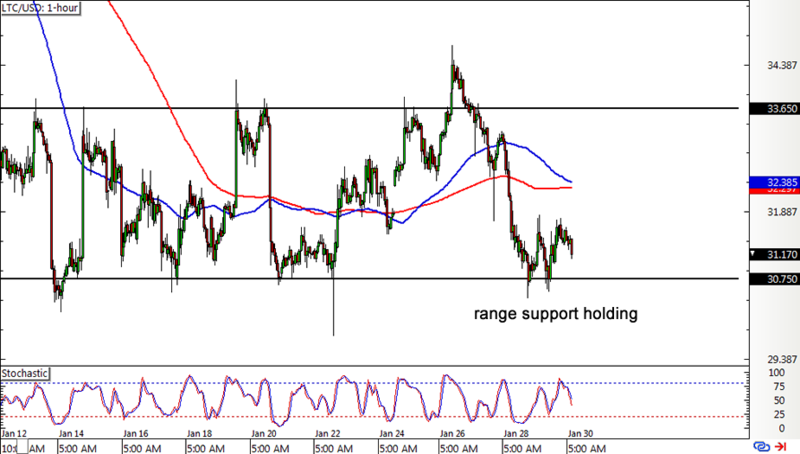 However, stochastic looks ready to pull out from the oversold region to indicate that buyers are about to return. A bounce back to the channel top might be due, but note that bitcoin price has to climb past the resistance at the middle of the channel and the dynamic inflection points at the moving averages first. 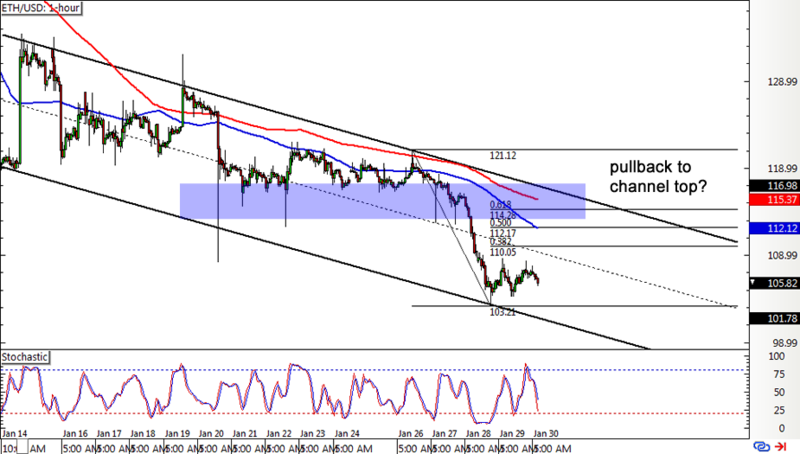 Ethereum tumbled below the near-term support around the $115 mark and dropped all the way down to a low of $103.21, forming a descending channel with its lower lows and highs. Price seems to be considering a pullback, and applying the Fib retracement tool shows where more sellers might be waiting. The 61.8% level lines up neatly with the broken support, channel top, and moving averages, making a pretty strong barrier. 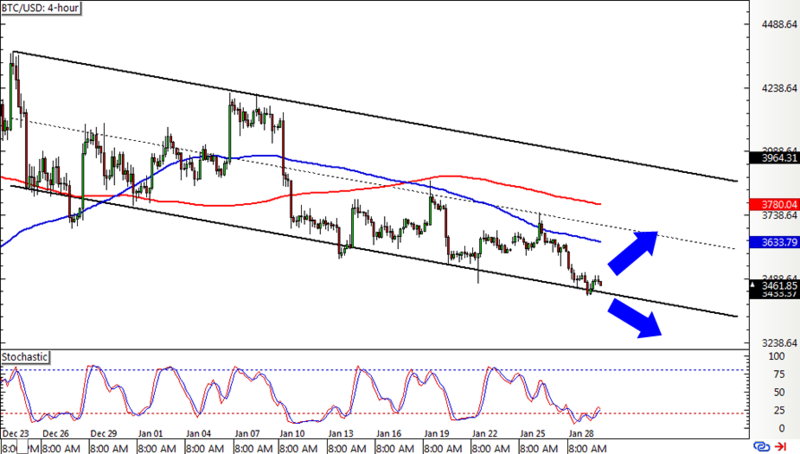 The 100 SMA is below the 200 SMA to indicate that the downtrend is more likely to resume than to reverse. Heck, stochastic is already on the move south, so ethereum might not even look back and just go for another breakdown! Litecoin is still stuck in its range as it made another test of support this week. So far, the floor is holding like a boss and a tiny double bottom appears to be forming. Technical indicators might be hinting at a breakdown, though, as stochastic is making its way lower from the overbought zone and the moving averages are prepping for a bearish crossover. Still, if support holds, litecoin could make another attempt at the range top at $33.650. XRP also broke below its short-term consolidation pattern to confirm that bearish pressure is taking hold. Zooming out the 4-hour time frame reveals that price might be aiming for the bottom of a newly-forming descending channel. 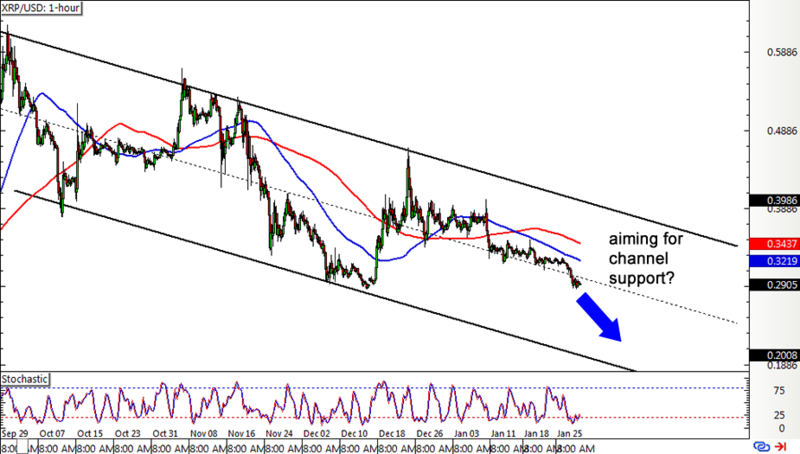 Stochastic is already indicating oversold conditions, though, so there could still be a chance for buyers to defend the mid-channel area of interest. However, the 100 SMA is below the longer-term 200 SMA to suggest that the downtrend could carry on.